Rhubarb Leaves Poisoning is the accidental or intentional intake of the leaves of the plant. What is Rhubarb Leaves Poisoning? What are the Causes of Rhubarb Leaves Poisoning? What are the Signs and Symptoms of Rhubarb Leaves Poisoning? How is First Aid administered for Rhubarb Leaves Poisoning? Who should administer First Aid for Rhubarb Leaves Poisoning? 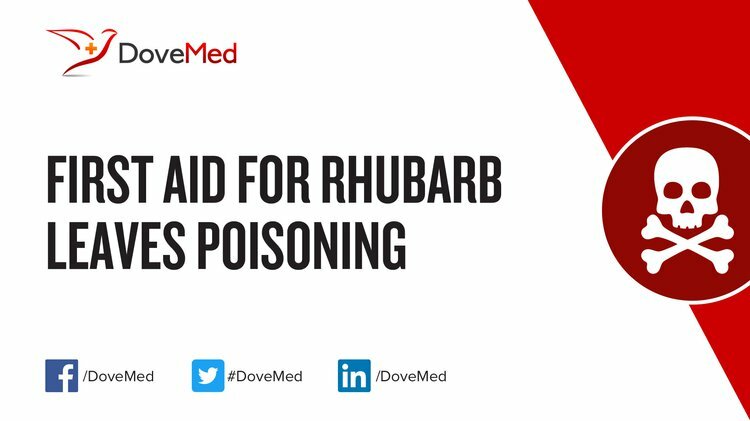 First aid for Rhubarb Leaves Poisoning is administered by healthcare professionals. What is the Prognosis of Rhubarb Leaves Poisoning? How can Rhubarb Leaves Poisoning be Prevented? Foust, C. M. (2014). Rhubarb: The wondrous drug. Princeton University Press. Aganga, A., Nsinamwa, M., Oteng, K., & Maule, B. (2011). Poisonous plants in gardens and grazing lands. J. An. Feed Res, 1(2), 52-59. Vaidyanathan, D., Senthilkumar, M. S., & Basha, M. G. (2013). Studies on ethnomedicinal plants used by Malayali tribals in Kolli hills of Eastern ghats, Tamil Nadu, India. Asian Journal of Plant Science & Research, 3, 29-45. Stephens, W. E. (2012). Whewellite and its key role in living systems. Geology Today, 28(5), 180-185. Murphy, L. A. (2015). Environmental Toxicology: Considerations for Exotic Pets. Journal of Exotic Pet Medicine, 24(4), 390-397. Young, T. (2012). More about Fungi: Part 2. Warm Earth, (104), 20.